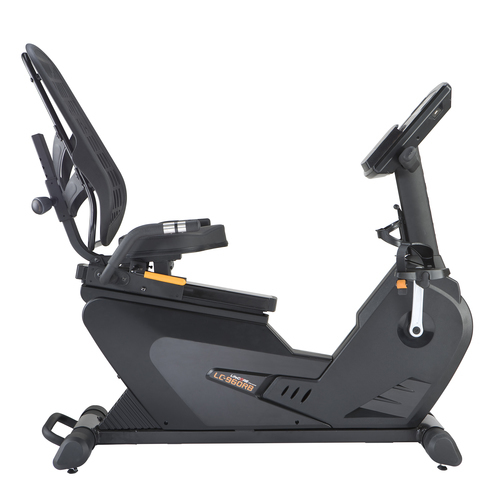 The 960RB is the mid-level recumbent bike from LifeCore Fitness, sitting between the base 860RB model and the top of the line 1060RB. All three were recently redesigned with some great new features that are sure to please even the most demanding users. The LifeCore 960RB is now all black, with a new large LCD display and more adjustability and comfort than ever before. The LifeCore recumbent line is very popular, with three different choices. The bikes all look the same, but as you move up in the lineup you get more features and capabilities. The main difference between the 960RB and the base LifeCore 860RB model is that you can use your wireless heart rate monitor for more accurate readings on the 960RB. 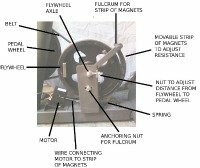 The 860RB is pulse only, which is fine for most users but not as precise. You also get a lot more built in workouts as well as resistance levels. 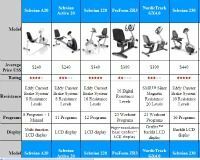 There are 35 programs to choose from, more than we've seen on any other home exercise bike, including strength, 5K, 10K, intervals, strength, fitness test, heart rate control and more. You also get a very impressive 32 magnetic resistance levels to choose from. The LifeCore 960RB is solidly built with new front and rear stabilizers for improved balance. The enclosed V-belt drive provides smooth and near silent operation, making it easier to hear your music or watch TV. The seat is heavily padded and larger in size than the previous version, with a ventilated seat back as well as high adjustability: you can easily move it forwards and backwards, choose from six different heights and unique to this model, three levels of tilt. (Note the 860RB does not tilt). The console, shown above, is upgraded from the base model, with 8 quick start workout program buttons on the left, and 8 quick start resistance levels on the right. You can see all of your workout stats in the window at the top, with time, heart rate, calories, distance, RPMs and more. All in all, this is a very solid and capable recumbent bike, and user reviews have been quite positive to date. It has a lot more to offer than similarly priced exercise bikes. The 960RB is a nice improvement on the 860RB, and of the two we would probably lean towards this one for several reasons. For just a few hundred dollars more, you get wireless heart rate monitoring, a lot more workouts and resistance levels, more seat adjustment options and some higher grade features. 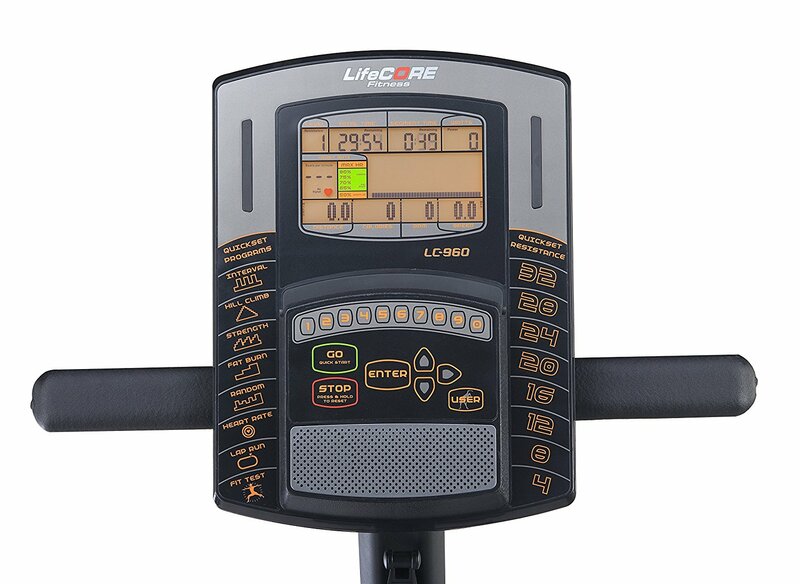 If you're looking for a comfortable, well-designed recumbent exercise bike for your home, the LifeCore 960RB is definitely a good choice. It has everything you need to help you reach your fitness goals, and keep you motivated and challenged along the way. UPDATE: Spring Exercise Bike Sales are now on! Find the right bike at the best price! How to make the time spent exercising fun! Rave or rant about the exercise bike you purchased online or used at the gym. Copyright © AllExerciseBikes.net ~ All Rights Reserved Trademarks, brands and images are the property of their respective owners.